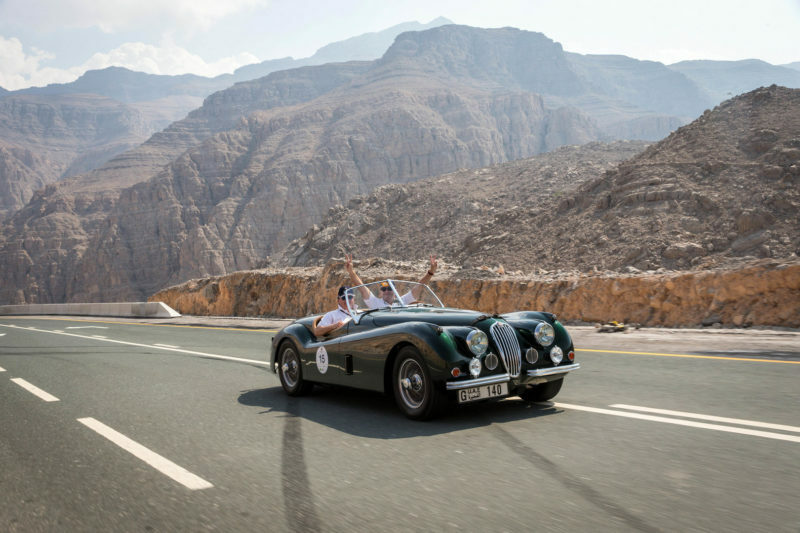 Chopard hosted the first-its-kind event over the weekend, a classic car rally across the Emirates under the motorsport supervision of ATCAUE. The event was an overwhelming success with competitors making a rally tour across the country in their classic cars, a real treat for FIVA (International Classic Car Association) members and fans. The event ran on Friday and Saturday, 10-11 November beginning at Dubai’s Armani Hotel at the Burj Khalifa. Motorists drove to Hatta Fort Hotel and back on Day 1 of the event. On Day 2, they went to Jebal Jais and Ras Al Khaimah’s Waldorf Astoria. 30 competitors with their cars ranging from the DeLorean to Ferrari 308 to the Rols Royce Silver Spur to the Lamborghini Jarama completed the event in their own ideal times (based on speed limits on roads) in order to win. Ideal times were determined by ATCUAE, National Motorsport Authority. Competitors came from all over the world to attend the event, and none were disappointed. ATCUAE supported the Chopard event as the motorsport partner, bringing experts in rally events to create the route and manage all motorsport elements. Both competitors and organizers are already looking forward to next year’s event to add a new, fun and unique element to the motorsport portfolio in the UAE.